So, I thought perhaps I'd take a blog post to talk about one of my other side activities: Video Editing. Specifically, I use clips from video games and set them to music, with a few effects thrown in for flair. This year marks my 10th anniversary as a video editor (I've been creating videos since 2003). In that time, I've made 44 videos that I consider part of my core archive - there have been a number of extra videos that never really made the cut for one reason or another. Over the years, I've also won a few awards for my work: two Best Cinematography awards, one Best Action award, and an award for Best in Show. All in all, its been a pretty fun decade. On the flip side, I've also been experimenting with original material in the past few years. By working with Unreal, I've created trailers for some of my game concepts, including Ascendancy, The Mezeah Grounds, and The Black Duchess. This year, things have been pretty busy, but I've tried to get some editing in where I could. In November, I created a really cool trailer for a contest held by Guild Wars 2. I've posted it below. Lets see if I can win a guitar! So what's next? Well, I had intended to create a retrospective video this year that would touch on all my previous works. That video is still in the works, so we'll have to see if I can finish it off before the end of the year (since most of the work was done this year, it still counts!). After that though, is the elusive video #45. I've been working on a concept for this one for quite a while, but the audio never really clicked until now. I'm happy to say that the song may or may not be "Paradise (What About Us)" by Within Temptation. And the footage? Well, I've done one video using Final Fantasy XII, and I have the footage from XIII-2. With the third title in the series coming out next year, we might just need to use all three. You'll have to wait and see! And we're done! The second (and likely final) album in the Arcana set has been completed. Titled "Arcana: The Music of Oravohl" features music from the third title in the Arcana trilogy, Oracle of the Eidolon. The soundtrack features a mix of tracks, including themes for locations, combat, characters, and cinematics. You can listen to the album (and purchase it for the price of your choice) here! You can also find the first album in the set, Arcana: The Music of the Omakh here. To start things off, you could probably categorize my music style as orchestral game music. It relies heavily on recurring themes, catchy rhythms, and a less than perfect instrument sound: aspects that probably resonate with a lot of gamers from the PS1, PS2, and early PS3 stages. I also tend to go pretty cinematic with my themes, sometimes imitating the style found in theatrical trailer music. Together, the two styles blend well into something that I think is pretty cool. 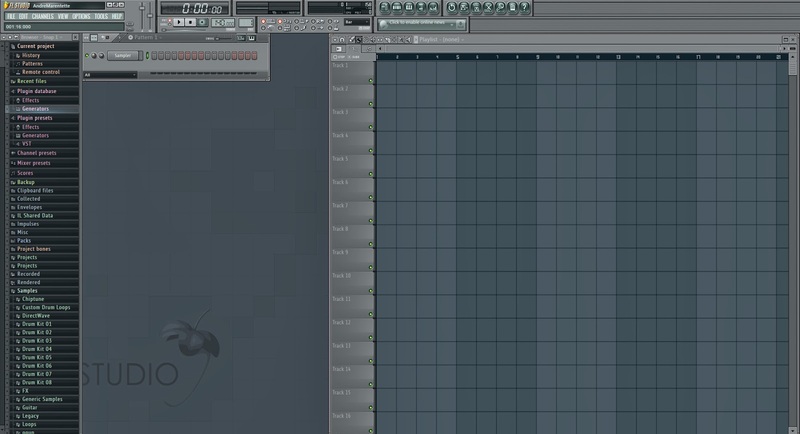 My primary tool for creating music is FLStudio (if you're interested, you can download a demo of the software here). This program has been incredibly useful for me ever since I started making music back in 2005/2006 (before then, I was using Finale NotePad for my musical creations - oldschool! ), mostly because I've never owned a Mac, and therefore never really experienced the "major" music creation programs like Garage Band, Audacity, and Pro Tools. Obviously, things are different now - many of these programs are available on both Mac and PC - but FLStudio is what I'm more familiar with. The program features all of the basic functionality that you'd expect (editing and adjusting audio files, importing live tracks, etc.) but what I've always loved about it is its extensive Piano Roll feature. Using this, you can essentially create any piece of music by simply clicking on the appropriate note (see the image below). For quite a while, I never had the ability to connect an external keyboard to my computer (or more importantly, a computer capable of supporting a decent live recording), so the Piano Roll was extremely helpful in bringing my music to life. 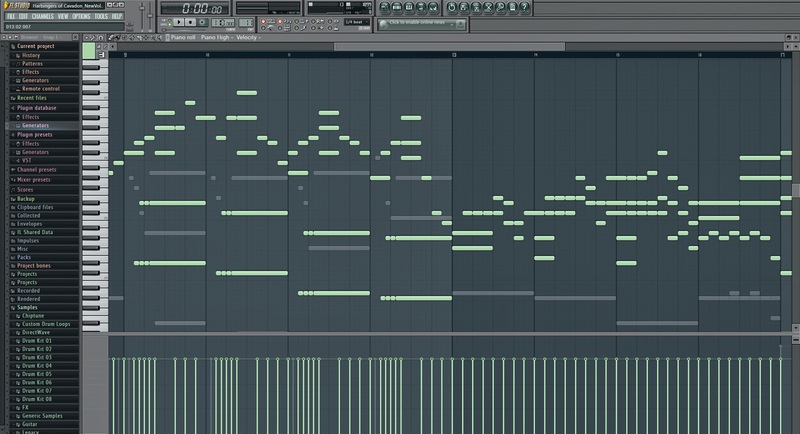 The other great thing is that the Piano Roll can be used by virtually any sound or instrument within the program, so creating music or orchestral-style ensembles becomes really easy (and removes the need to transpose for different instruments). The Piano Roll is pretty much where every track starts. Nowadays, I'm able to play something on an external keyboard and have those notes show up on the roll, giving me a place to start with my themes. Sometimes I know off the bat whether a track needs to be a character theme or a battle track, but usually I just experiment and see where a track takes me. I also almost always start with a piano - its the perfect instrument to use for getting ideas fleshed out (which is also why I feature a piano in pretty much every track I compose). From there, it's just a matter of expanding on the original themes with different instruments, and voila! a new track is born. Laying out each pattern comes next, which creates the basic structure of the track. Once all of the patterns are set in place, then it's time to give the track a once-over for volume. Usually this is something that I'll start right from the beginning just to make sure a track doesn't get too out of control. 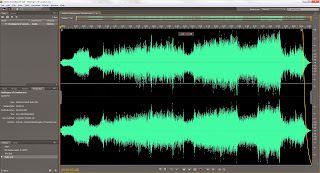 When working with volume, it's always a good idea to try and give the track enough room to breath (meaning, the overall volume of the track should hover somewhere between -6 and 0 db). This handy mixer is what I use to keep everything in line. At this point, the track is almost done. If everything sounds good, and the volumes aren't wacky, it comes time to start the export. As with most creation software, exporting always takes an appropriate amount of time compared to the quality. 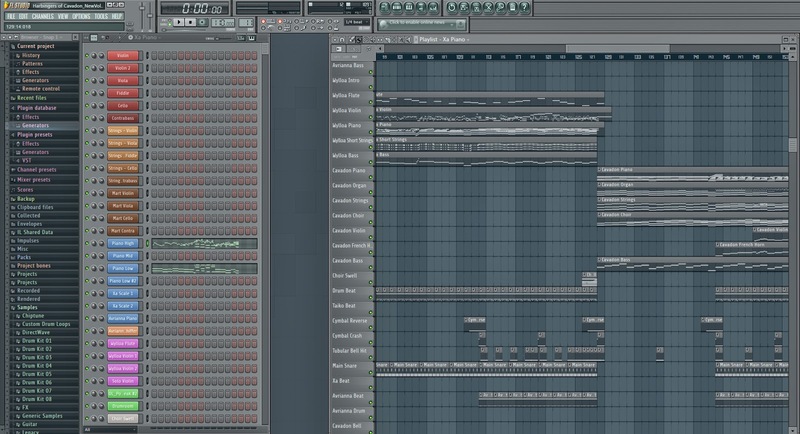 For example, I can export a new track at a pretty basic quality in less than 5 minutes. But when it comes time to export the final version of a track at a lossless quality, this time frame can quickly escalate (for example, Harbingers of Cavadon, my most complex track to date, had an average export time of about 7 hours). Once I have an exported WAV file, it's time for a few final touchups. Onto a different program! 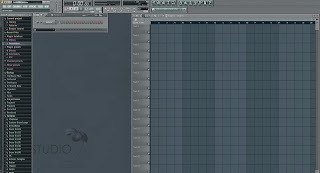 For this, I use Adobe Soundbooth, although technically all of this functionality is supported by FLStudio. I also tend to use the program rather sparingly - Soundbooth is great at what it does, and can accomplish some pretty complex things, but for where I'm at with audio creation, I only need a few tools from the box. 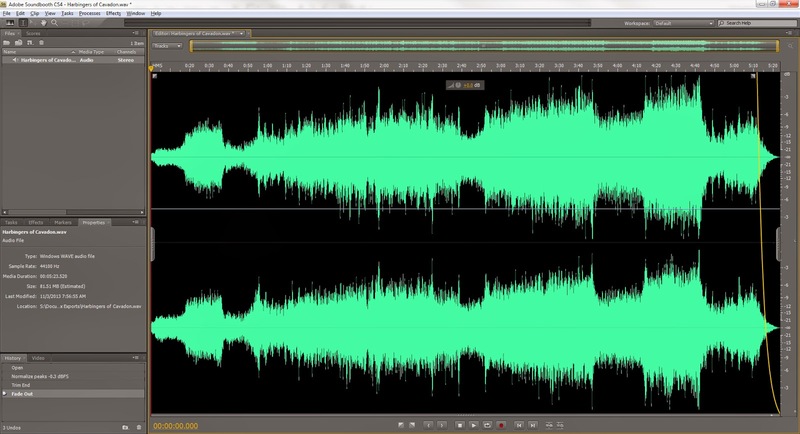 In this case, I trim the end of the track and add a fade out, just to give it a nice ending. Then, I "normalize" the track, which adjusts the waveform to account for the largest and smallest frequencies - or in simple terms, takes all of these spiky bits and gets rid of the empty space on the bottom and the top. When normalizing a track, you definitely want to limit the amount of clipping that might occur - areas where the waveform has hit its limit and is actually chopping off some of the frequencies. 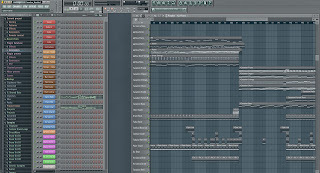 Luckily, most of my tracks suffer only mildly from this - something that I'm getting better at with every track I make. After all this is done, there's one more save/export, and presto! The track is complete and ready for listening. 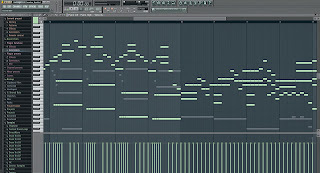 And that's the quick and dirty of how I create a track. Over the next few months, you can look for more music related posts as I begin my newest project, currently titled "The Lattice."